The team studied phages that can infect strains of the antibiotic-resistant bacterial species S. aureus (MRSA). They found that certain phages encode an enzyme (TarP) that helps S. aureus better evade detection by the host immune system. Lead author: Rotem Sorek, Weizmann Institute of Science, Israel. 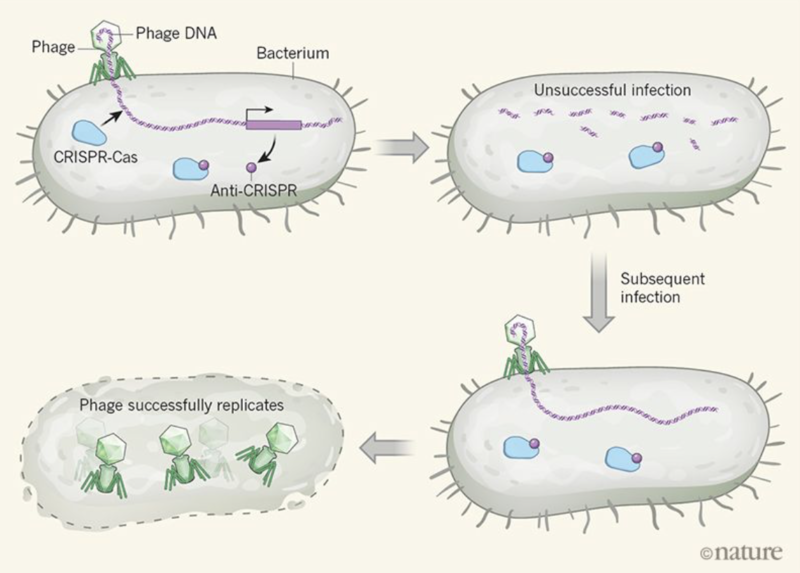 The team found that phages (which infect bacteria) can suppress the bacterial immune system (the CRISPR/cas system) during an initial wave of unsuccessful infection. 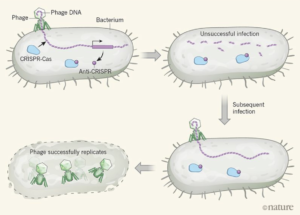 However, although this first phage may fail to replicate, the immunocompromised bacterium often succumbs to subsequent successful infections by other phages. The team developed a mathematical approach to study the fruit fly bacterial gut microbiome. They found that microbiome interactions are as important as individual species in shaping these fundamental aspects of fly physiology (development + lifespan).